Stand Up Paddle Surfing: Donde Es Juan? Okay, I talked to a few of you over the past couple months and the question was raised more than once... where's John? No need to worry. He's alive and well. In fact, I haven't seen him this pumped in a long time. He is now part of Creed SUP. He handles the ton of customer emails and is involved deep with company direction and marketing. We all know he knows SUP. Randy at Creed SUP knew this as well and was wondering why no one else has whisked John under their wing. Randy didn't waste any time and saw the value, huge value that is, that John can bring to the Creed SUP table. So now John will be holding down the Creed SUP hotline, blogger extraordinaire and will be one of the main faces of Creed. In fact, I'm in the process of making the window decal for the new Creed SUP shop. You'll be able to see John riding a wave from the freeway as you drive by Creed's new location (1085 Bay Blvd, San Diego). He'll continue to post here on Paddle Surf but will also be guiding his fingers on the keyboard to deliver cool stuff on Creed's blog as well. 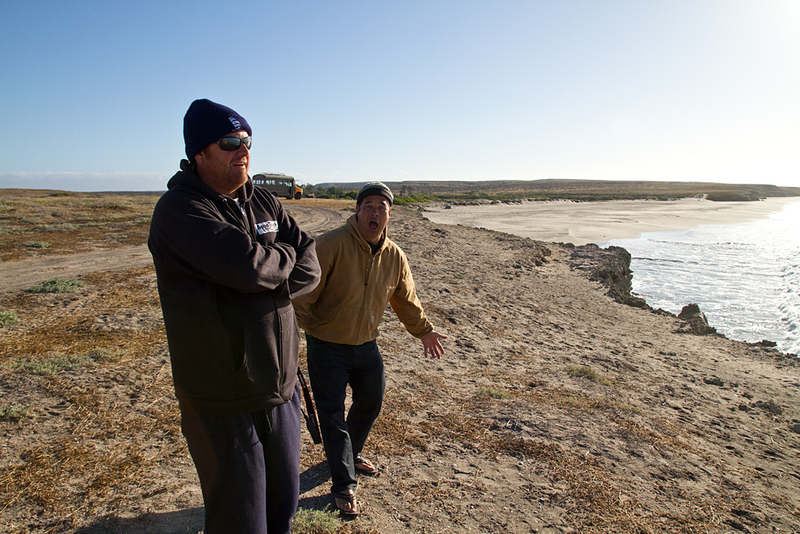 Braddah Tim and John on a surf check deep in Baja.